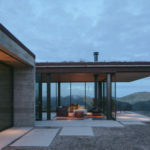 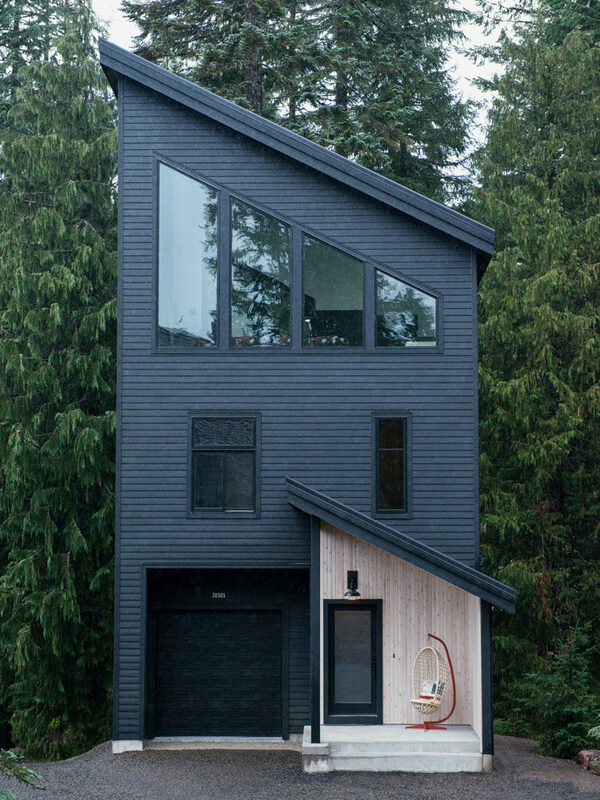 Keystone Architecture together with interior design firm Casework, have completed the Alpine Noir Chalet, a modern mountain cabin that’s located in Government Camp, Oregon. 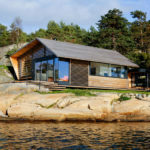 A simple palette of of black, white, and whitewashed wood, are found throughout the cabin, with pops of color and pattern helping to warm the space. 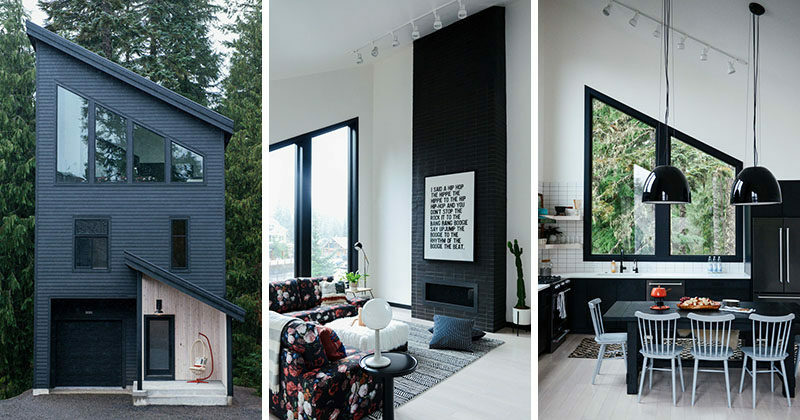 In the living room, the high ceilings make the space feel larger, while the angled windows allow plenty of natural light, and a black fireplace complements the black window frames. 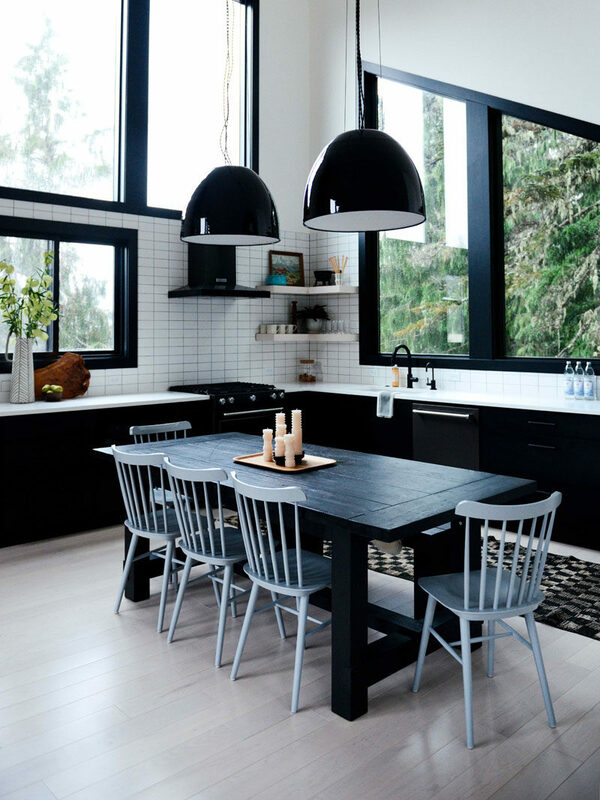 In the kitchen, lower black cabinets tie in with the black dining table, while white tiles and open corner shelving has been installed on the walls. 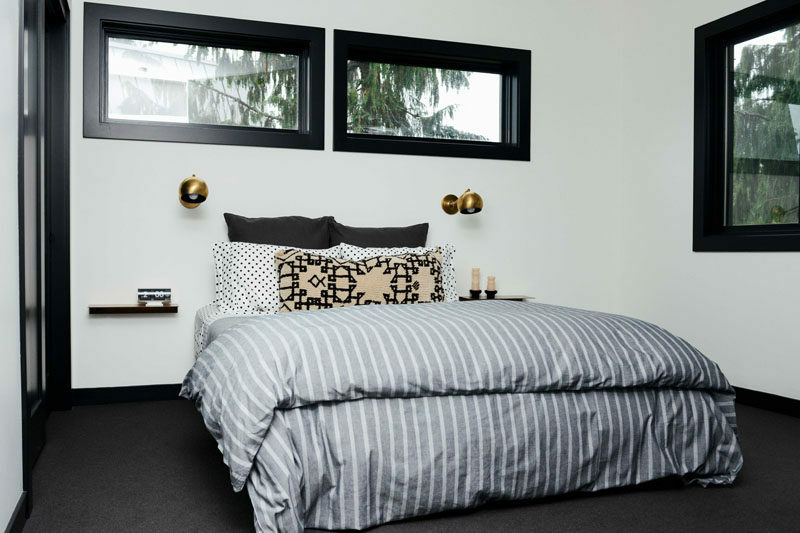 Simple floating shelves and single sconces have been placed on either side of the bed, while dark flooring contrasts the white walls. 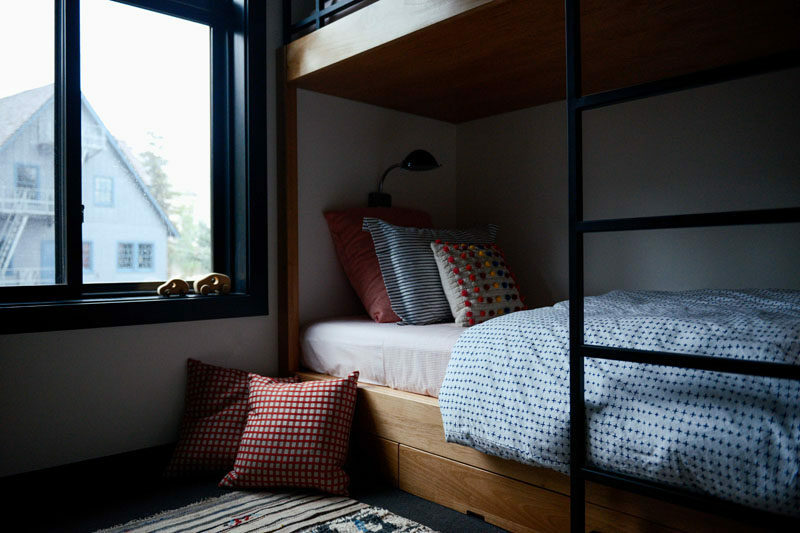 In a second bedroom, there’s a set of wood bunk beds with a minimalist black ladder. 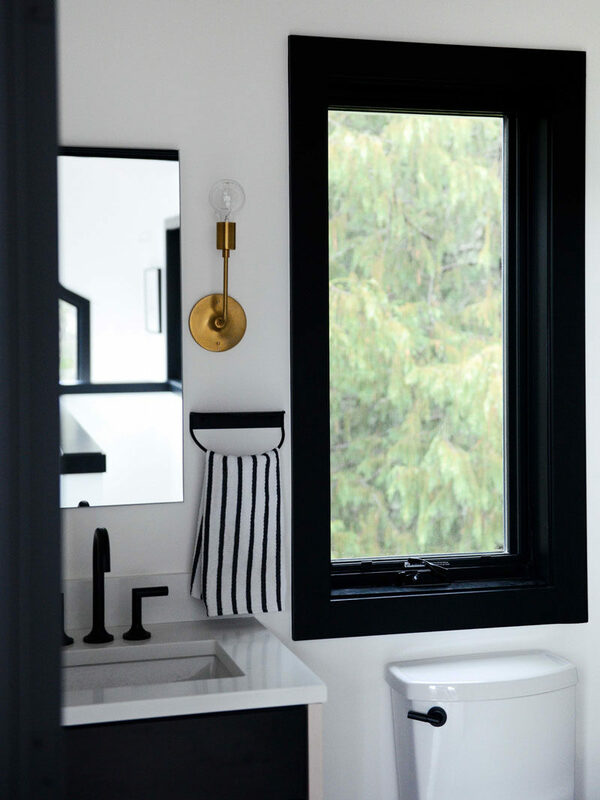 The black and white theme continues in the bathroom, with a brass light fixture adding a metallic accent.